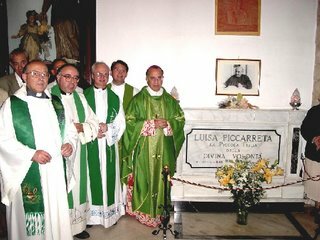 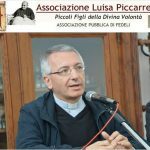 On October 29, 2005 Archbishop Giovan Battista Pichierri concluded the Diocesan phase for the Cause of Beatification and Canonization of the Servant of God Luisa Piccarreta. 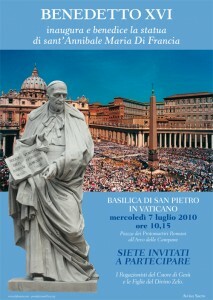 The Cause has now been officially transferred to the Vatican for the Roman phase of the beatification process. 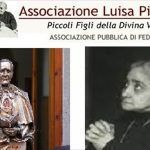 Servant of God Luisa Piccarreta, pray for us! 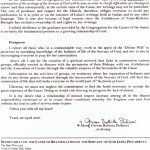 Please pray for the surrender of Luisa’s Original Volumes 35 and 36 – a brief note on this can be found below or at top drop-down bar under “The Cause”. 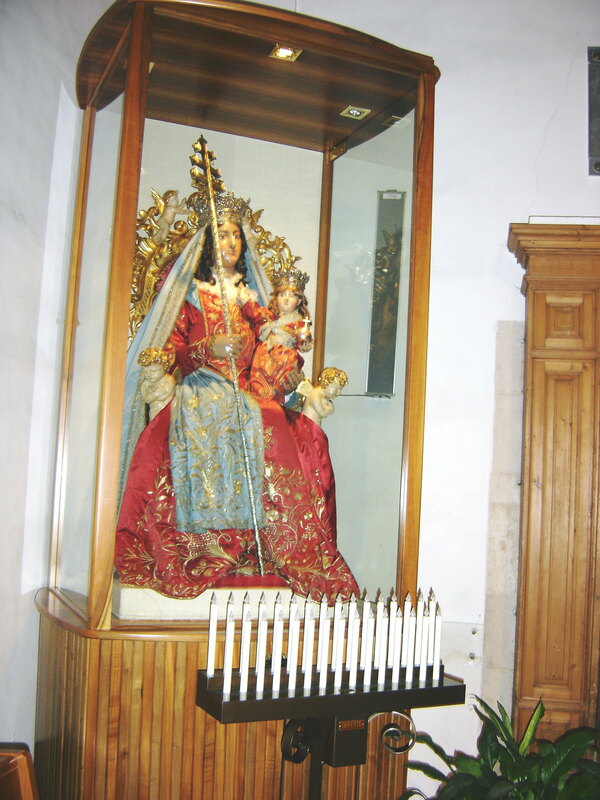 Facts concerning the Writings and Luisa Piccarreta can also be found below, or at top drop-down bar under “The Cause”. 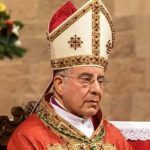 Notice from Archbishop Pichierri can be found below, or at top drop-down bar under “The Cause”. 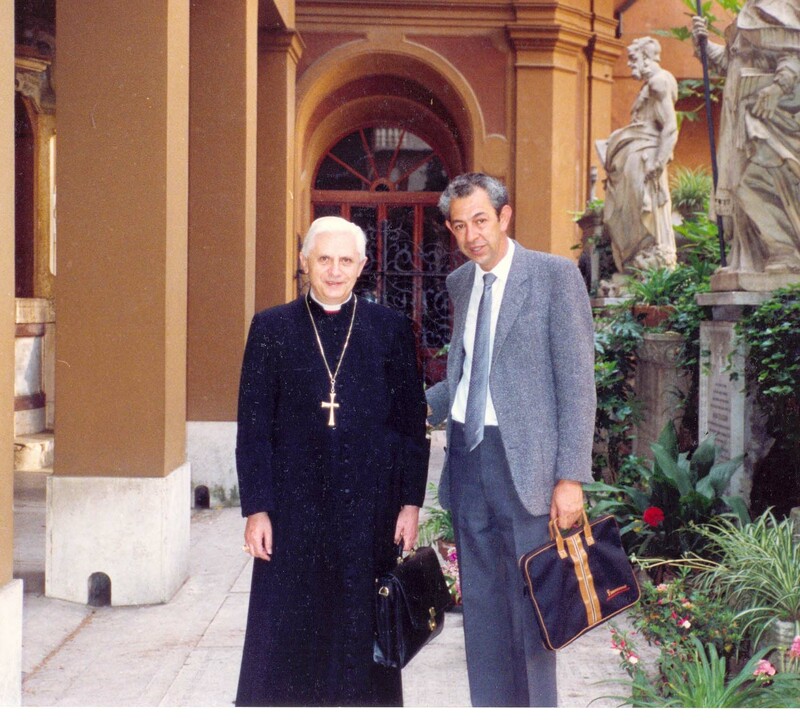 His Holiness Benedict XVI and Luisa Piccarreta written by the daughter of José Luis Acuña of Mexico can be found below, or at top drop-down bar under “The Cause”. 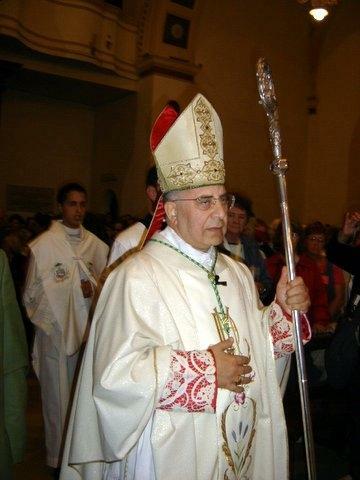 June 1, 1990 in the Temple of the Evangelical Rogation of the Heart of Jesus and Sanctuary of Saint Anthony in Messina, the exhumation and recognition of the corpse of the Venerable Father Annibale takes place. 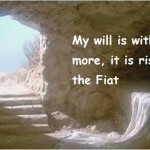 His body is found to be wonderfully uncorrupted. 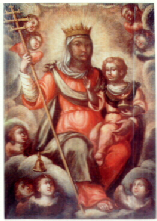 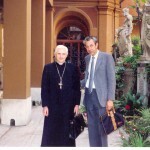 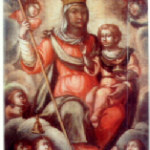 July 14, 1990 the Special Congress of the Theological Consultors, reunited in the Congregation of the Causes of the Saints after the result of the Medical Council, expresses its unanimous favorable opinion and defines the recovery of Gleida Danese, attributed to the intercession of Father Annibale, miraculous. 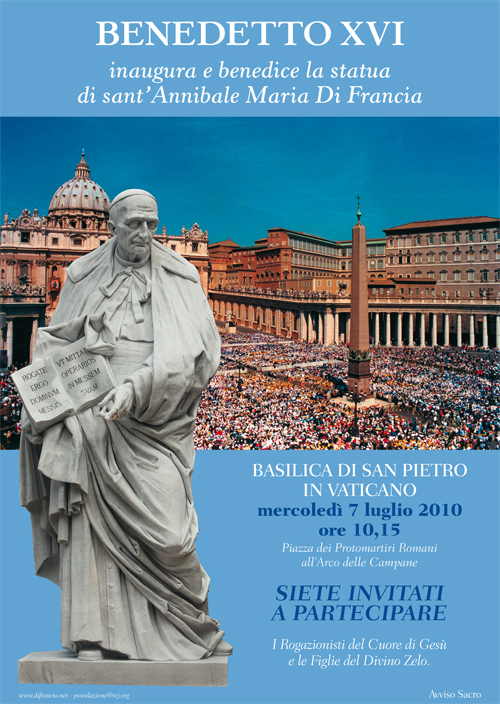 October 7, 1990 in Rome, in St. Peter’s Square, Pope John Paul II proclaimed Father Annibale Blessed. 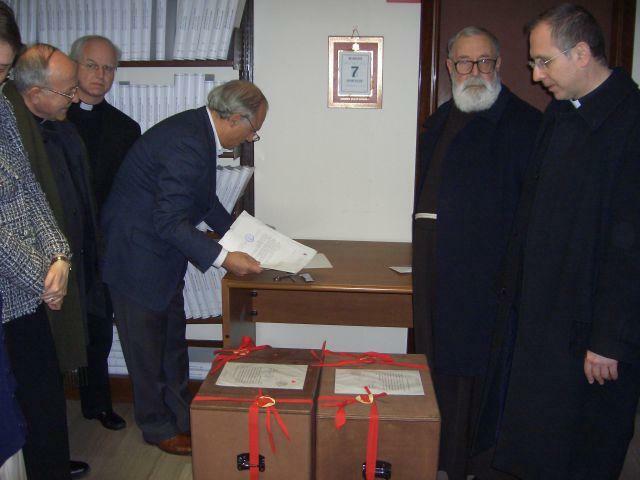 October 24, 2002 In Iloilo (Philippines), conclusion of the Diocesan investigation on the presumed miraculous recovery of the little girl Charisse Nicole Diaz attributed to the intercession of Blessed Father Annibale. 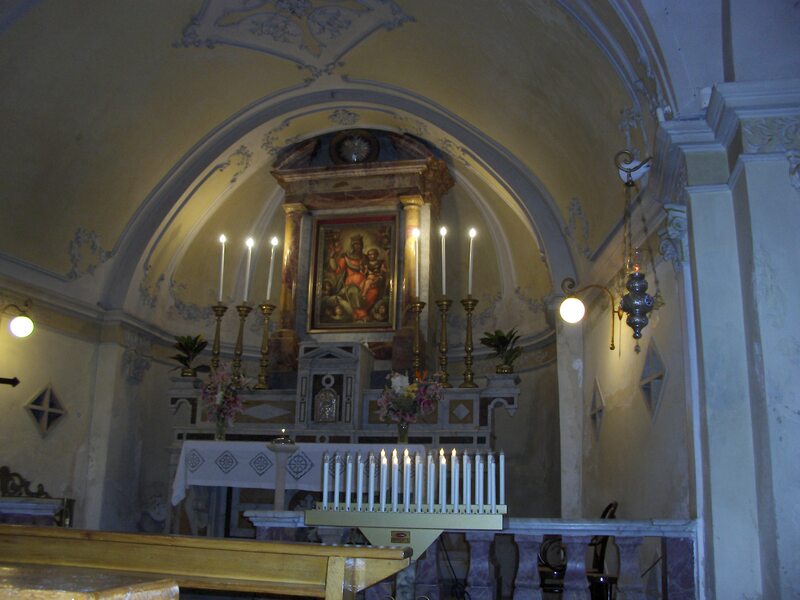 A history of the miraculous image “Santa Maria Greca” can be found below, or at top drop-down bar under “The Cause”. 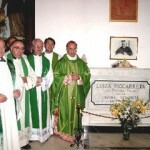 Saint Mary the Greek Church holds great significance in the life and death of Luisa Piccarreta. 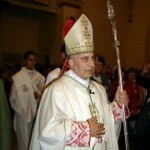 Her last confessor up to the time of her death was Father Benedetto Calvi, Parish Priest of Saint Mary the Greek Church. 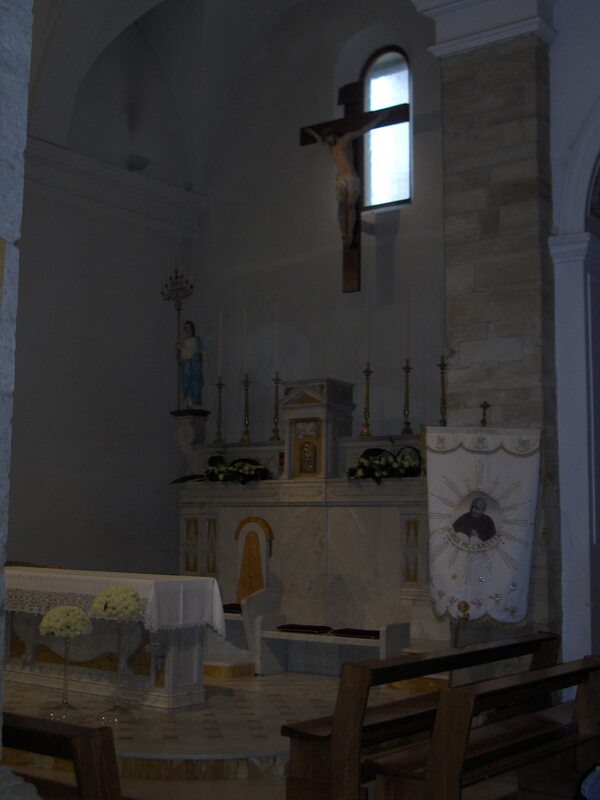 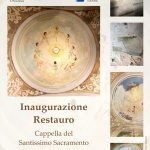 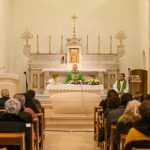 It was in this Church that Luisa, when she was nine years old, received First Communion and the Sacrament of Confirmation on the “in Albis” Sunday of 1874. 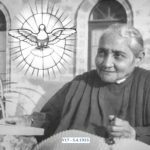 Luisa used to remain in Saint Mary the Greek Church for hours at a time, kneeling motionless, engrossed in profound contemplation. 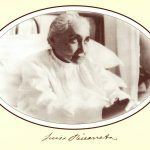 At the age of 18, Luisa became a tertiary Dominican with the name of Sister Magdalena. 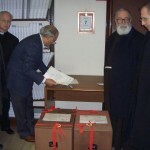 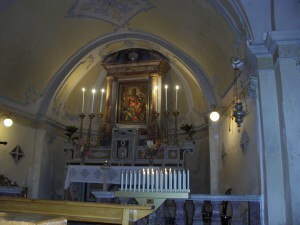 At that time, the Parish Priest of Saint Mary the Greek, was promoting the Third Order, and Luisa was one of the first. 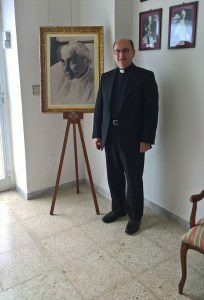 Archbishop Mons. 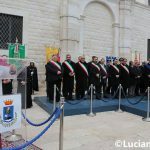 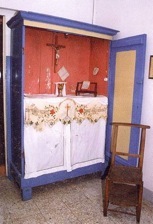 Addazi obtained permission from the Holy Office (5-11-1962) to transfer the mortal remains of Luisa to inside Saint Mary the Greek Church with the internment occuring on July 3, 1962.